^ The Legend of Zelda Instruction Booklet. Nintendo of America, Inc. : 18. ^ The Legend of Zelda Instruction Booklet. Nintendo. : 41. ^ The Legend of Zelda Instruction Booklet. Nintendo of America, Inc. : 28. ^ The Legend of Zelda Instruction Booklet. Nintendo of America, Inc. : 29–31. ^ The Legend of Zelda Instruction Booklet. Nintendo of America, Inc. : 32–39. ^ The Legend of Zelda Instruction Booklet. Nintendo. : 21–26. ^ 7.0 7.1 The Legend of Zelda Instruction Booklet. Nintendo of America, Inc. : 39. ^ 8.0 8.1 8.2 Andrew Long. The Legend of Zelda — Retroview. RPGamer. [2006-10-01]. （原始内容存档于2007年9月27日）. ^ Zelda Handheld History. Iwata Asks. Nintendo. 2010-01-26 [2010-06-08]. ^ 『裏ゼルダ』の裏話. 社長が訊く. Nintendo. 2009-11-19 [2010-06-08]. ^ No byline. IGN: The Legend of Zelda Cheats, Codes, Hints & Secrets for NES. [2014-08-24]. ^ 13.0 13.1 13.2 13.3 13.4 The Legend of Zelda Instruction Booklet. Nintendo of America, Inc. : 3–4. ^ The Legend of Zelda Instruction Booklet. Nintendo. : 10. ^ 15.0 15.1 15.2 Shigeru Miyamoto Interview. Super PLAY (Medströms Dataförlag AB). 2003-03, (04/03) [2006-09-24]. （原始内容存档于2004-06-23） （瑞典语）. ^ Classic: Zelda und Link. Club Nintendo (Nintendo). 1996-04: 72 （德语）. ^ Bufton, Ben. Shigeru Miyamoto Interview. ntsc-uk. 2005-01-01 [2006-09-23]. ^ Fahey, Michael. GDC07: Liveblogging Nintendo. Kotaku. 2007-03-08. ^ Edwards, Benj. Inside Nintendo's Classic Game Console. PC World. 2008-08-07 [2008-11-11]. （原始内容存档于2010-07-02）. ^ The Legend of Zelda Instruction Booklet. Nintendo of America, Inc. : 36. ^ IGN Staff. True Zelda Love. IGN. 2003-10-06 [2014-08-24]. ^ Jackson, Mike. News: SNES, NES classics set for 3DS return. ComputerAndVideoGames.com. 2010-06-21 [2014-08-23]. （原始内容存档于2012-11-02）. ^ Kahf, A. 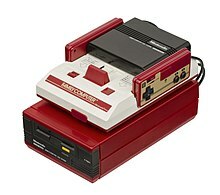 ファミコン非売品リスト. No Enemy in Our Way! Retrieved 22 April 2009. 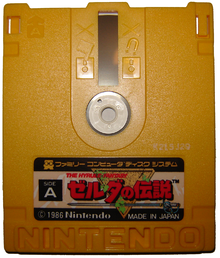 ^ The Rarest and Most Valuable NES Games 互联网档案馆的存檔，存档日期2011-11-22.. Digital Press (via RacketBoy). 25 May 2010. ^ 36.0 36.1 Kameb. かべ新聞ニュース閲覧室. The Satellaview History Museum. 2008-02-12 [2009-04-22]. （原始内容存档于2011-02-04） （日语）. ^ BS The Legend of Zelda. IGN. [2014-08-24]. ^ Kameb. サウンドリンクゲーム一覧. The Satellaview History Museum. 2008-02-12 [2009-04-22]. （原始内容存档于2009-02-06） （日语）. ^ Marriott, Scott Alan. The Legend of Zelda - Overview. Allgame. [2012-12-04]. ^ Gerstmann, Jeff. The Legend of Zelda Review. GameSpot. CBS Interactive. 2006-11-22 [2014-08-24]. ^ The Video Game Critic's NES Reviews. videogamecritic.net. [2012-12-04]. ^ March 25, 2004. The Magic Box. 2004-03-25 [2007-04-01]. （原始内容存档于2005-11-26）. ^ Nintendo Power — The 20th Anniversary Issue! (Magazine). Nintendo Power 231 (231). San Francisco, California: Future US: 71. 2008-08. ^ Best NES Games of all time. GamesRadar. 2012-04-16 [2013-12-05]. ^ Adams, Roe R. III. Westward Ho! (Toward Japan, That Is). Computer Gaming World. 1990-11: 83 [2013-11-16]. ^ Petersen, Sandy. Eye of the Monitor. Dragon. 1993-10, (198): 57–60. ^ The Game Informer staff. The Top 200 Games of All Time. Game Informer. 2009-12, (200): 44–79. ISSN 1067-6392. OCLC 27315596. ^ Game Informer staff. The Top 200 Games of All Time. Game Informer. 2009-12, (200): 44–79. ^ S.B. The 200 Greatest Video Games of their Time. Electronic Gaming Monthly. 2006-02 [2006-10-01]. （原始内容存档于2012-06-29）. ^ 80-61 ONM. ONM. [2009-02-19]. （原始内容存档于2014-10-11）. ^ Readers' Picks Top 99 Games: 80-71. IGN. 2005-04-11 [2006-09-30]. ^ GameSpy Staff. GameSpy's Top 50 Games of All Time. GameSpy. 2001-07 [2006-09-30]. （原始内容存档于2008-03-20）. ^ taragan. Famitsu Readers' All-time Favorite Famicom Games. Pink Godzilla. 2006 [2006-09-20]. （原始内容存档于2008-06-17）. ^ GameSpy's 30 Most Influential People in Gaming. GameSpy. [2007-04-01]. （原始内容存档于2007-06-27）. ^ 15 Most Influential Games of All Time: The Legend of Zelda. GameSpot. [2014-08-24]. （原始内容存档于2010-05-15）. ^ Barton, Matt. Dungeons & Desktops: The History of Computer Role-Playing Games. A K Peters, Ltd. 2008: 182 & 212 [2010-09-08]. ISBN 1-56881-411-9. ^ Adams, Roe R., Westward Ho! (Toward Japan, That Is): An Overview of the Evolution of CRPGs on Dedicated Game Machines, Computer Gaming World, 1990-11, (76): 83–84 , When The Legend of Zelda burst upon the scene in fall of 1988, it hit like a nova. Although it still had many action-adventure features, it was definitely a CRPG. ^ Barton, Matt. Dungeons & Desktops: The History of Computer Role-Playing Games. A K Peters, Ltd. 2008: 209–10 [2010-09-08]. ISBN 1-56881-411-9.